Apple sure kept us waiting for its major MacBook Pro refresh and while many people will argue it was worth the wait, I for one am glad I bought my MacBook Pro a month earlier even whilst knowing that a major refresh was imminent. 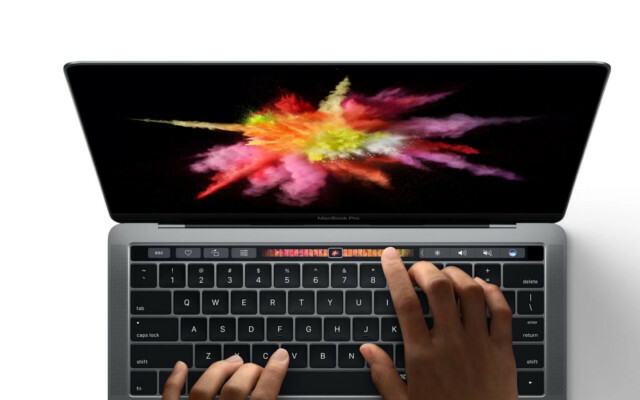 Sure, the new 2016 MacBook Pro models pack a series of interesting new features but such features also come packed with some serious disadvantages. Today we put the new MacBook Pros with Touchbar to the test and do an extensive recap of the pros and cons of the 2016 MacBook Pro. We can't really say this was much of a surprise, yet most of us expected a slight compromise when you consider this is a pro device and not a light usage laptop. However, Apple chose to go all in on its bet to remove all the ports and replaced them for USB 3.1 ports instead. To be precise, the base model with touchbar has absolutely non of its traditional ports. That means we don't have USB ports, no HDMI port, no thunderbolt 2.0 port and to make matters worse we don't even have an SD card reader. Allas, the company did keep an audio jack, so at least not all is lost. Apple has a tendency for believing people are more updated than they are and while they might think we all live in the cloud, the harsh truth is that many of us still use peripherals that need these ports. There is a remedy in the form of a series of dongles but no one really wants to go through the trouble or expense of using a dongle for everything. If you where to use a dongle then all that Apple reduced in terms of footprint for the actual laptop will be taken over by the dongles. Unless they expect us to just buy all new products that are USB 3.1 compatible. This is definitely the biggest con of the MacBook 2016 with touchbar. Magsafe has always been a great way to charge your MacBook and personally it's one of my favorite features. You can magnetically clap the conector to the laptop and in case you run into the cable it's not gonna take the MacBook down but rather unplug itself in the most delicate of ways. Now you've gotta charge your MBP using one of the 4 USB 3.1 ports and these don't hold the magnetic attributes that made the MagSafe a great charger. Battery life on the new 2016 MPB with touchbar is the same as previous iterations. That means you get up to 10 hours of overall battery life. In my experience, as a poweruser, I've found that in itself I've never really reached the 10 hours but rather 6-7 hours. I was hoping the new Macbooks came with 12 hours that way I could adjust my expectations to about 10 hours but that's not the case. You can get a new MacBook Pro with touchbar for 1999 dollars, that's just insane no matter how you put it. With each major refresh Apple tends to increase the price but 2000 dollars for a laptop is just too much for my taste. Let's be honest for a second. Sure, the touchbar seems great and I'm sure plenty of people will find use for it but it's really just a fancy way of providing a few shortcuts. I would've prefered a model with the touchbar and another one just with touch ID. I love touch ID but I don't see all that much use for a touchbar and could perfectly live without it. Sure, it's nice and shiny and the next big thing but right now it's still a "beta product" which means we're still a few years away from the touchbar reaching its full potential through third part apps. In my case, I've seen some pretty neat tricks with the touchbar using Safari but the thing is that on my MB I don't actually use Safari but Chrome so I think I'll hold out till Chrome comes up with a series of useful shortcuts to use the touchbar. Also, let's not forget that the touchbar thrives in editing apps. I barely use photoshop for it to actually merit having a touchbar on my laptop. This was a great surprise. For years we've had a base SSD storage of 128GB and for many people that's just not enough. However, on this new iteration of the MacBook Pro, all new models arrive with a base 256GB of storage. Obviously this has been reflected in the base price which we discussed earlier as a major con of the MacBook Pro but that's not to say I'm not glad. Not because it has it now but because that means that when prices come down on the next version the 256GB will remain a solid fixture and at least that's a step in the right direction. Sure enough, the touchbar isn't all that impressive today but I'm certain that it has a solid future ahead of it. Although if 3D touch is any indication then we might be very, very wrong. Apple is placing a solid bet that this new technology will catch on and that software developers will care enough to provide extra functions for this specific model. Then again, it's not like Apple is leading the laptop market as it does with the smartphone market so perhaps a quick adoption isn't really in the cards. Personally, I'm still waiting for the picture in picture feature to go mainstream within macs and so far it's only available on a handful of sites when using Safari. As I mentioned when talking about the disadvantages, I see touch ID on the MacBook Pro 2016 model as a necessary evolution and one that's long overdue. In fact, I'm much happier with the new MacBook implementing touch ID than I am about the touchbar. This might not be an actual advantage or pro of the MBP but it's a pro for me. I like the new MacBook, I just don't like it enough to fork over 2K over it. Sure, it delivers improvements but not enough to win me over for a financial standpoint. That said, as it always happens when it comes to technology, the major refresh is always the most expensive model. Once we get over that, in one or two generations this model will be available for $1500 tops and that's when I'll seriously consider buying it. Also, waiting to buy the new MacBook isn't just a financial move, it's also about connectivity. I'd much rather move onto the new MacBook when USB 3.1 has gone mainstream and therefore there's not that much of a learning curve nor a need for additional dongles to get my job done. Finally, this is our personal recap on the pros and cons of the MacBook Pro 2016 with touchbar, you might see other pros and cons that we haven't mentioned. If so, feel free o hit the comments section and let us know what you believe are the biggest advantages and disadvantages of Apple's new lineup.